Thirty years ago, in 1984, miners went on strike in one of the UK’s most bitter industrial disputes. All around the country, people came together to raise money and pledge solidarity with the miners and their families, who faced hardship as the strike wore on. The biggest fundraiser was a group of gay and lesbian campaigners – who saw the harassment of the miners by Margaret Thatcher’s government as mirroring their own experiences. 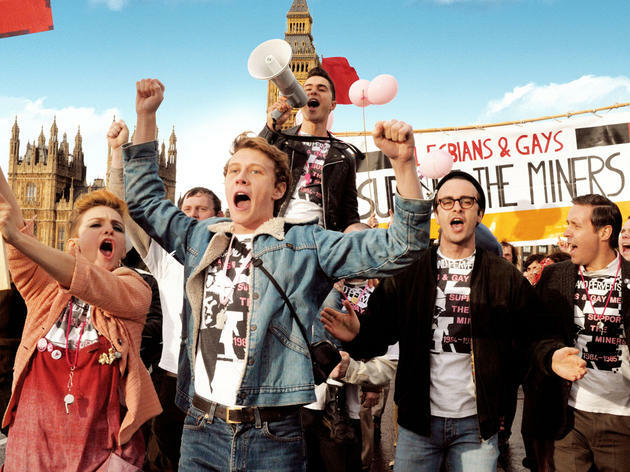 Calling themselves LGSM (Lesbians and Gays Support the Miners), they set off from London in two minibuses and a clapped-out campervan to a village in South Wales carrying buckets of loose change raised in gay clubs and on the streets of London. 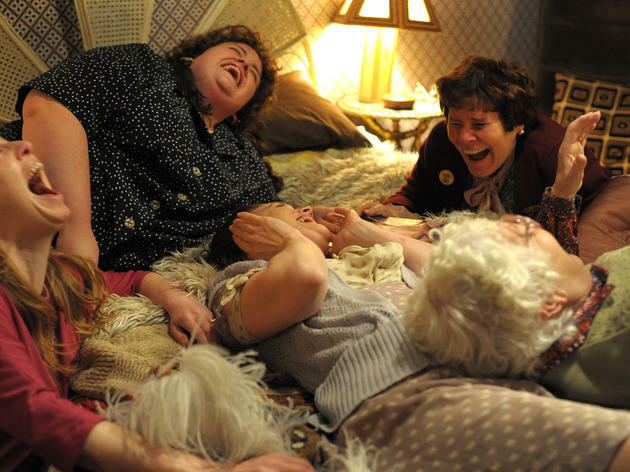 The story of how those two worlds collided has now been made into ‘Pride’, a film with the biggest heart you’ll see this year. It will leave you punching the air and sniffing into your cardigan sleeves. Three LGSM members, all in their twenties and thirties during the strike, tell us what really like. Nicola, 54, is a writer and artist from Peckham. In 1984 she worked in community video, making films about lesbian and gay rights. Mike, 60, is a Kew-trained horticulturist who also teaches gardening courses for beginners. He lives in King’s Cross. Jonathan, 65, from Brixton, is a retired English National Opera costume maker. He was training as a pattern cutter in 1984 when he joined LGSM. 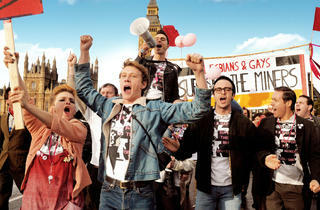 ‘Pride’ is released in UK cinemas on Fri Sep 12. For a defiantly mainstream film, it’s free of coyness or embarrassment and unashamed of shouting about the powers of solidarity, friendship and empathy. It’s a joyous film, full of love and warmth but unafraid to admit that with sticking out your neck comes struggle and sorrow. Truly lovely.